Would you like to receive a quote for your project? Click here. Are you looking for high quality products at an astonishing price? Find out more about our special deals. 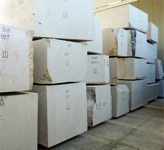 Do you know anybody who needs to buy marble? Talk about Ziche in your network and start to work with us. 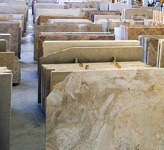 Ziche Marmi is an italian leading company in the production of blocks, slabs, tiles and crafted marble goods. 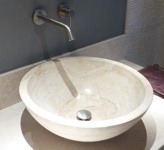 Ziche has over 50 years of experience in the marble sector. Ziche realises both the extraction in owned quarries and the finishing in high technological plants. The most important quarry owned by Ziche is located in the Botticino basin and has surface of over 250.000 mq, with more than 4km of mining-edge. 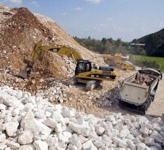 Among the marbles extracted in the quarry, there are: Botticino Classico, Botticino Fiorito and Botticino Semiclassico. The marble tiles and slabs produced by Ziche are sold all over the world testifying the quality of our product made in Italy. Among the marbles that we currently sell, there are: Arabescato, Azul Bahia, Bardiglio Carrara, White Gioia, White Perlino, White Carrara, Fiorito Fantastico, Breccia Oniciata, Breccia Sarda, Calacatta Carrara, Calacatta Gioia, Calacatta Oro, Crema Marfil, Daino Reale, Emperador Dark, Emperador Light, Fior Di pesco, Yellow Atlantide marble, Yellow Cleopatra, Yellow Istria, Yellow Reale, Yellow Siena, Grey Carnico, Jura, Palissandro Classico, Pietra Di Fossena, Pietra di Prun, Pietra Medea, Pietra Serena, Primavera, Pink Perlino, Pink Portogallo, Red Asiago, Red France, Red Verona, Saint Laurent, Silvia Oro, Statuarietto, Statuario marbe, Striato Olimpico, Trani Classico, Trani Fiorito, Travertino Classico, Verde Alpi, Verde Guatemala, Green Ming,..